After a sleepless night we drove away from Beaudesert to begin our new life on the road, it was a week later than we had planned, but nonetheless we were on the road. I will admit freely that I have shed many tears saying goodbye to our two adult daughters & our gorgeous Grandaughter knowing that we now wont see them again until we return in mid July for a month for the birth of our second grandchild. 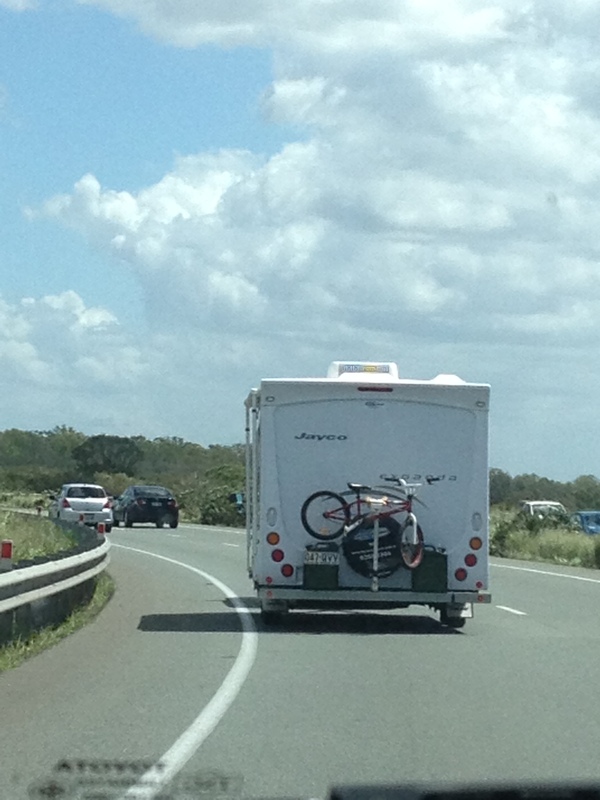 Dale towed the Caravan while Cooper & I followed in the work ute as we still hadn’t managed to sell it as yet. We were acting as “the support vehicle” so to speak and it was Coopers’ job to radio up to the lead vehicle if & when needed. It was also his job to keep an eye on the bike rack on the back of the van & alert Dad of any issues. Fortunately, there were none but for those of you who know us well, we have been affectionately given the tag of the Griswalds on many occasions due to so called “mishaps” & Griswald moments. More on Griswald moments in another post. Our first destination was Coolum Beach to spend a few nights with Dale’s parents. We had a great time catching up with friends & relatives. 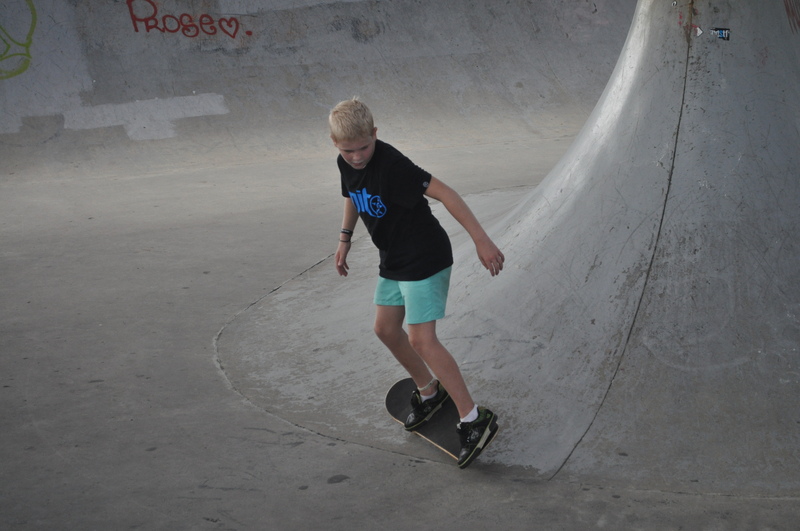 It was also a good excuse for Cooper to check out the first of many Skate Parks. He is making it his mission to skate at as many Skate Parks around the country as he possibly can. After 3 nights at Coolum with Ma & Pa it was once again time to say “Goodbye” to our loved ones as we set off for Woodgate Beach to spend time with my sister & her family. 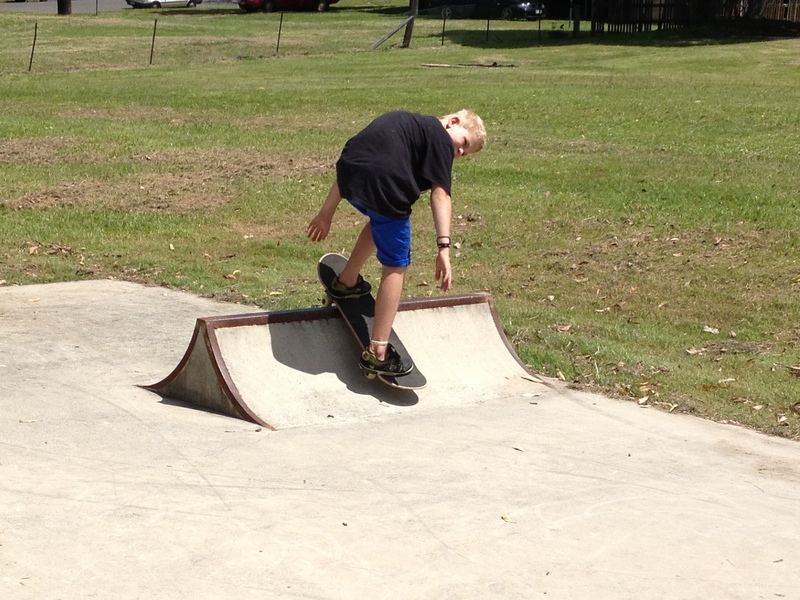 On the way we stopped at Tiaro for lunch & yes you guessed it, another skate park.